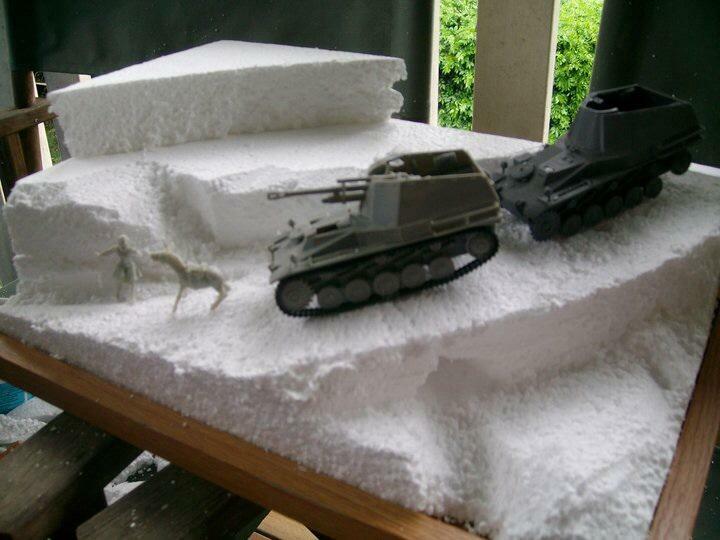 Kfz7 from Bandai. 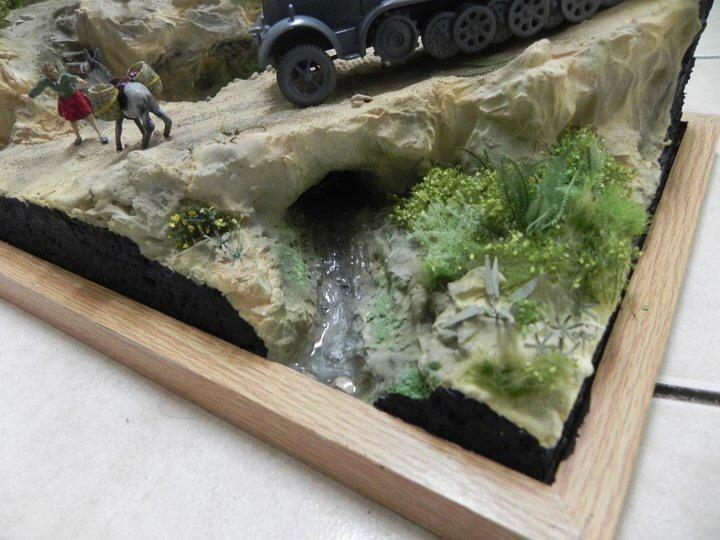 Waterfall is clear resin. Hope you like. Thanks for looking. Happy Easter everyone. 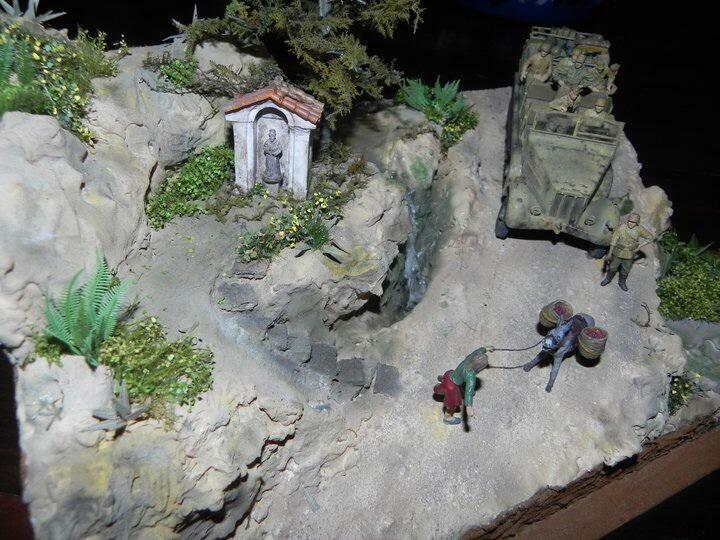 9 responses to Crete 1943 diorama. 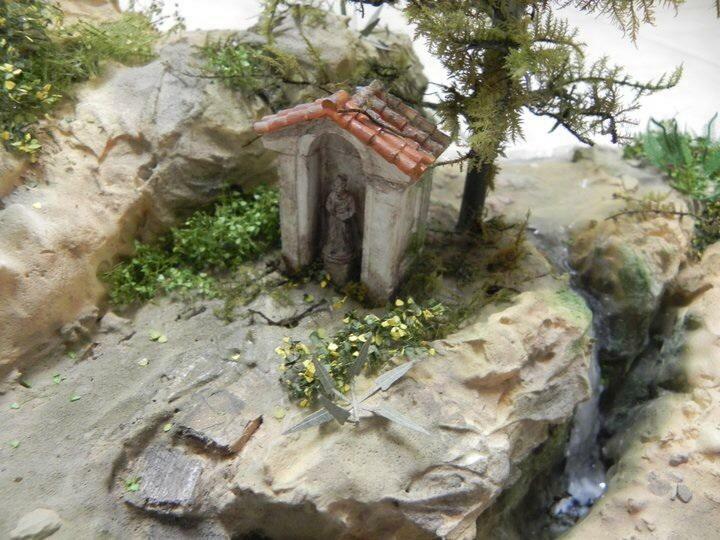 Nice job on this dio, I’ve been to Crete a few times, the little roadside shrine is very typical. Nice ‘dry’ look to the dio, Paul. Like Neil, I also think the roadside shrine is a nice touch. 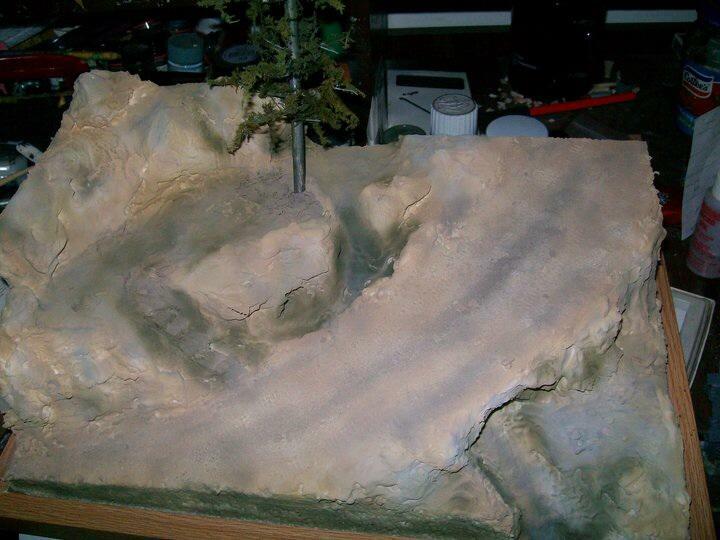 Perhaps show a few photos of closer detail work? Everything here is middle-distance, so hard to see how details work together, but overall a striking dio. Brilliant dio. Nicely done Paul. 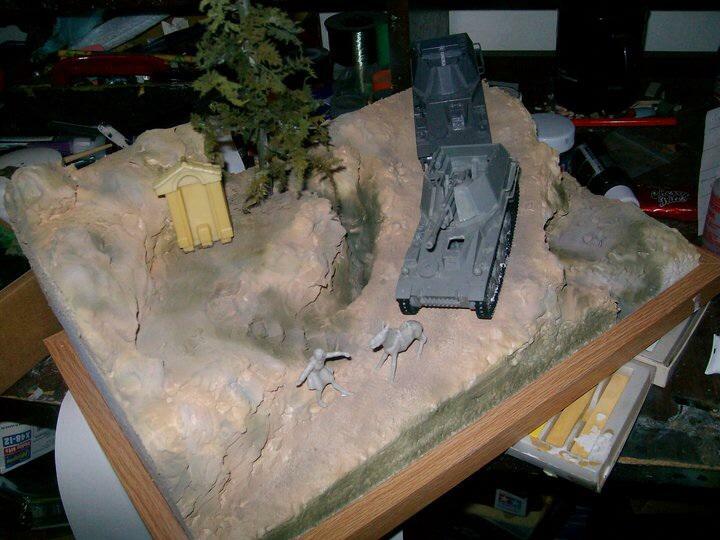 Really nice diorama Paul. Looks like you were able to come up with one of the original Bandai releases that came with figures. Great job! 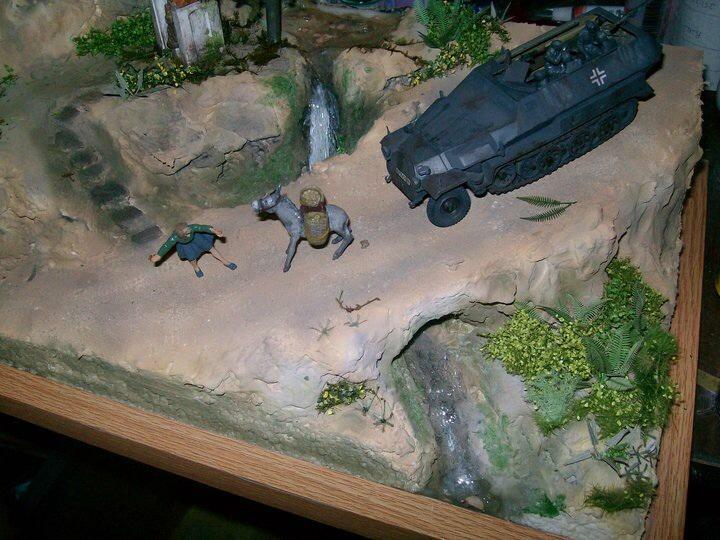 And you can always change it up with different figures/vehicles. 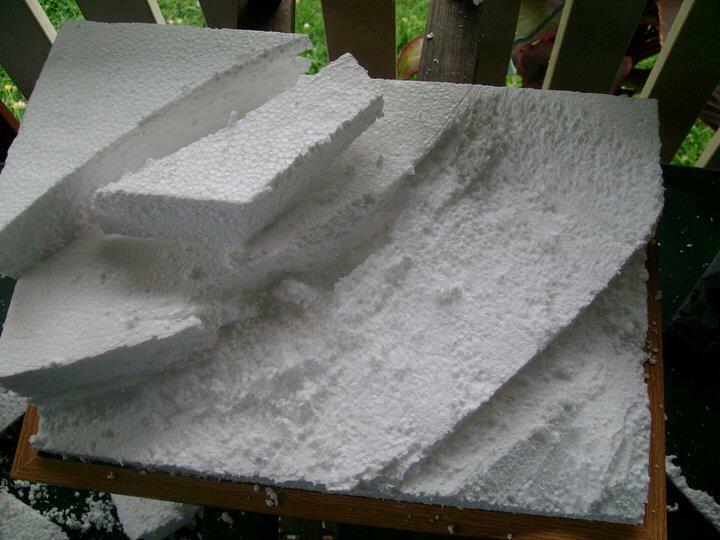 I’ll have to give that resin thing a try with one of my [few] ship models…never tried it before. 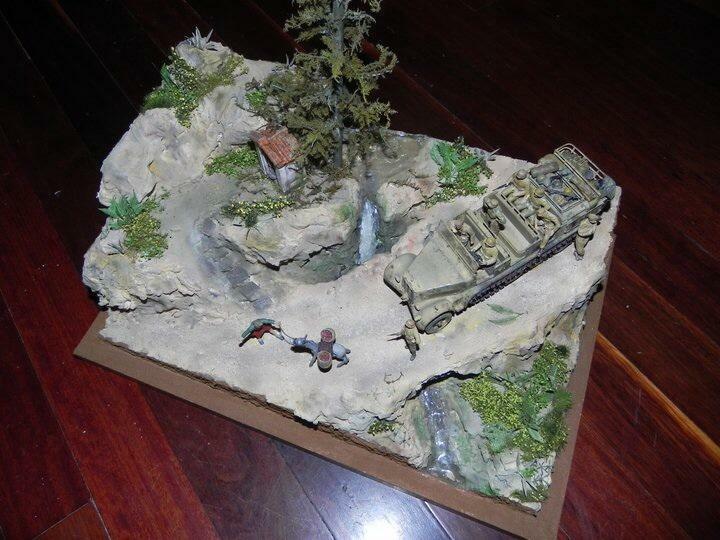 Again, nice-lookin’ diorama, sir. 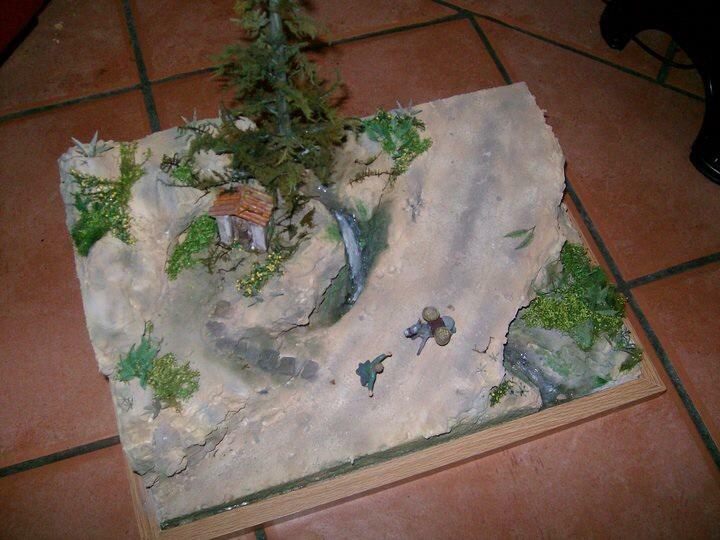 A lot of work has gone into this, good job, Paul. 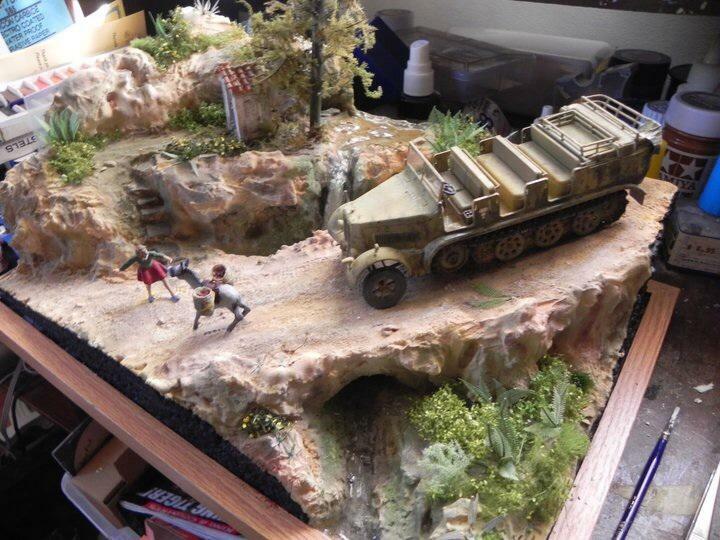 Great job and an interesting diorama. Says a lot in the small space.